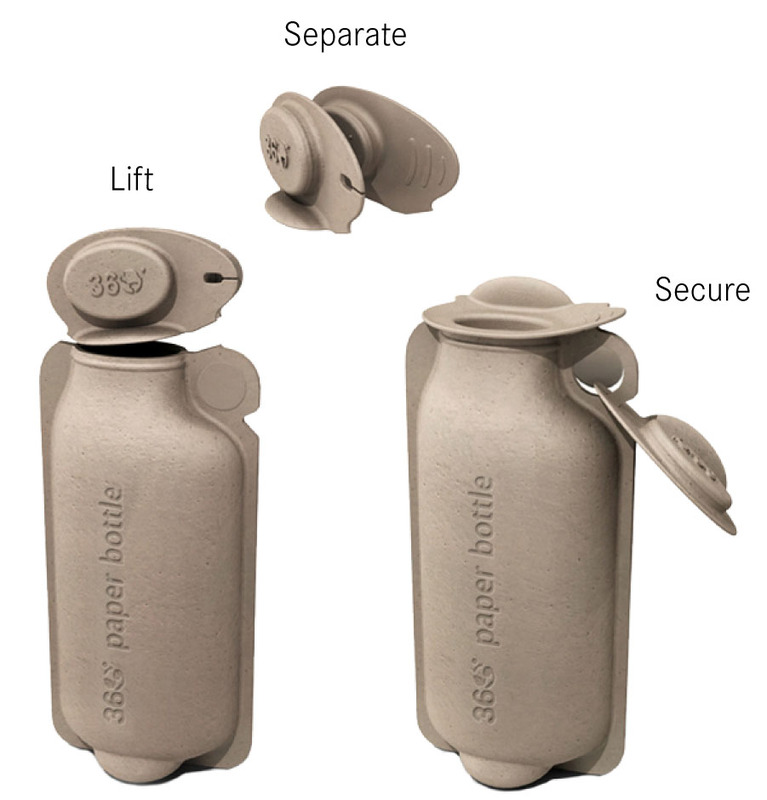 Home > September 2013 > An innovative bottle offers renewable alternative to plastic - 360 Paper Water Bottle. 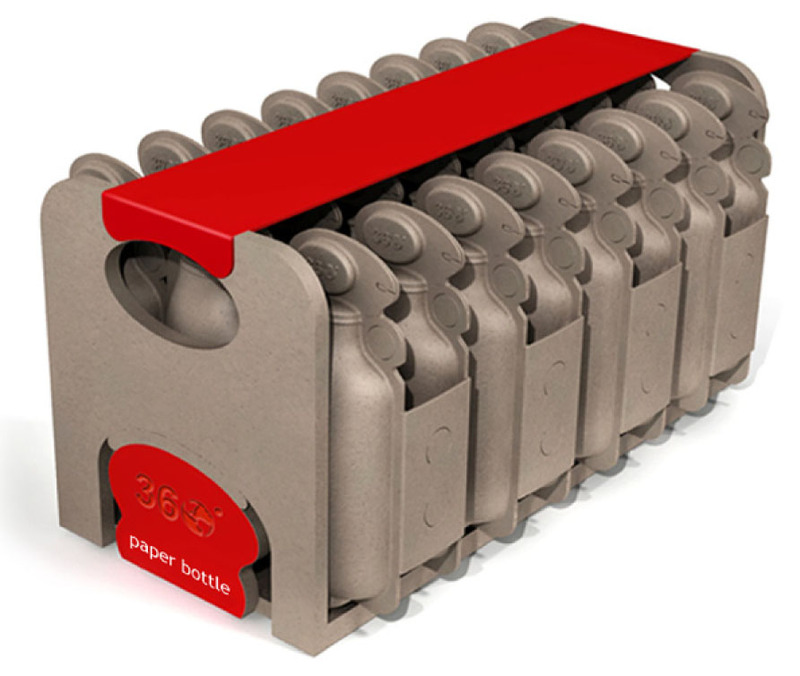 An innovative bottle offers renewable alternative to plastic - 360 Paper Water Bottle. Single-use plastic bottles are thrown away every day around the world created millions of tons of unnecessary waste each year, and it’s not just the waste that’s a problem – plastic is made from petroleum. 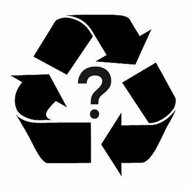 They are less than 15% of plastic water bottles in the world are actually recycled, most wind up in landfills where they can take up to 1000 years to biodegrade. 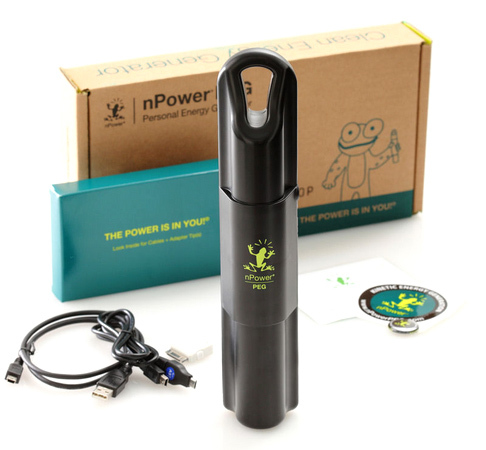 The 360 Paper Water bottle is an innovative, single-serve water bottle made from 100% renewable material - yes, it's paper - or more specifically bamboo or palm leaves and etc. 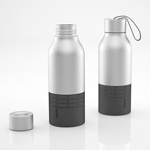 Made from sustainable sheet stock such as bamboo, the bottle features an internal micro-thin film provides the liquid / air barrier and the fusing material to join the two pressed halves together. 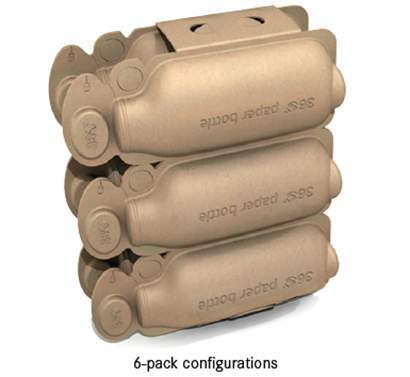 The design enables the self-bundling of multiple containers to eliminate the need for separate six pack packaging. 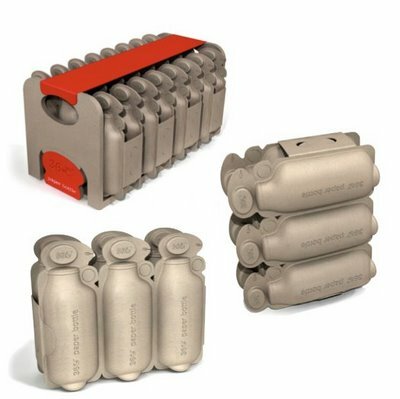 As the bottles can be produced on a single line and bundled for shipping, extra packaging can be eliminated, making this bottle a very cool environmental solution to reducing the number of plastic bottles. Made with 90-95% reduction of polymer. The tear off top separates to becomes a re-seal. 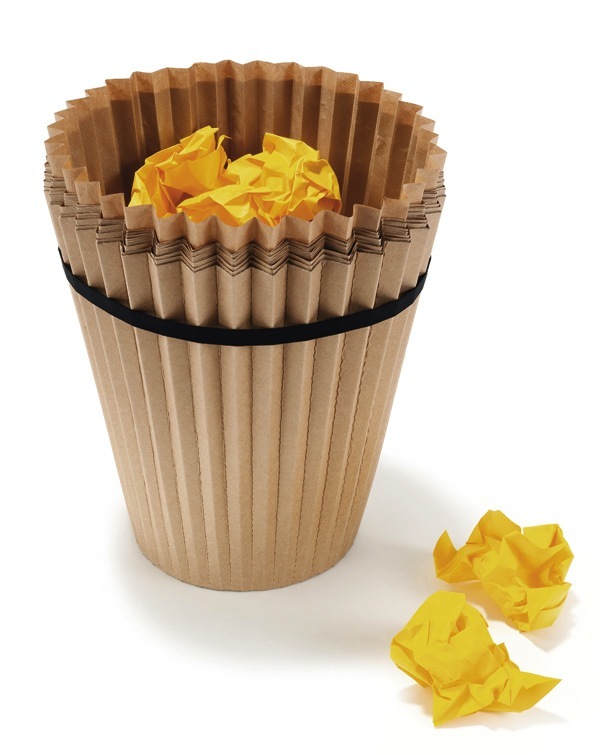 Next page: Disposable waste paper basket - Cupcake trashcan.